I hope that you are all enjoying this holiday season! Christmas snuck up on me this year, but luckily I was prepared. Most of my gifts I had finished early, which was great since things at school were really busy and exhausting the last couple of weeks before break. The last day of school was a Friday and my family exchanged gifts on Sunday. I just did some last minute finishing of projects and sewing in of ends and I was ready. For my niece I made a poncho. It can easily be pulled over her head, which is important since she is five and must do everything herself. Also I used superwash wool, so it will not only keep her warm, but it can be washed. For my nephew I made a hat. The earflaps were requested by him. 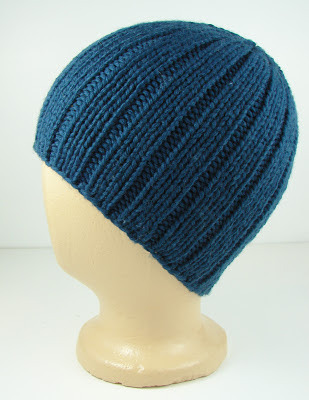 I also used superwash wool for this hat. The day before we were to exchange gifts, I momentarily panicked. Could a three and a five year old possibly be excited to open a hat and a sweater? Yikes! So I quickly crocheted some little finger puppets. Turns out they were more excited to see the clothing items than the toys, so they were just a nice little bonus. 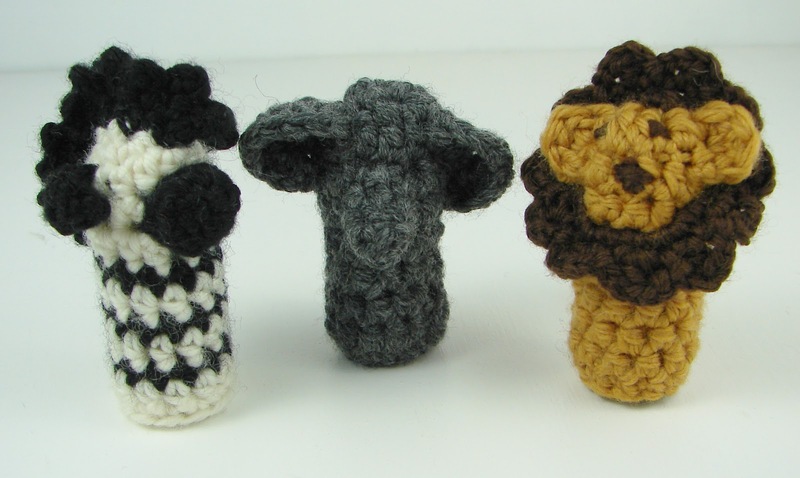 Safari animals for my nephew: zebra, elephant and lion. 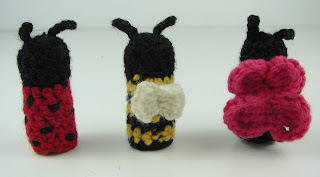 Garden critters for my niece: ladybug, bumble bee and butterfly. My dad is often found working out in the yard, even in the cold weather. I have made him some hats before, but he can always use more. Again I used superwash wool for warmth and washability. 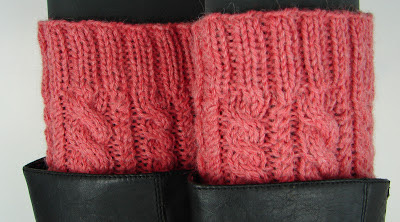 I knit them in a simple ribbed pattern. For my sister-in-law I made a couple of pairs of boot cuffs. 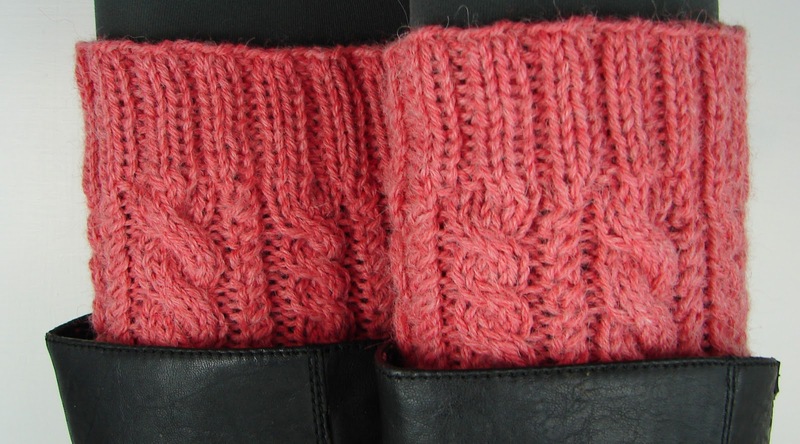 I had seen a pin on her Pinterest about converting old sweater sleeves into boot cuffs, so I decided to knit her some instead. 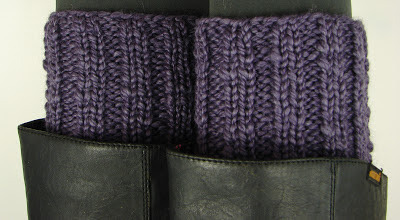 Cabled boot cuffs made with baby alpaca yarn, these were so soft! 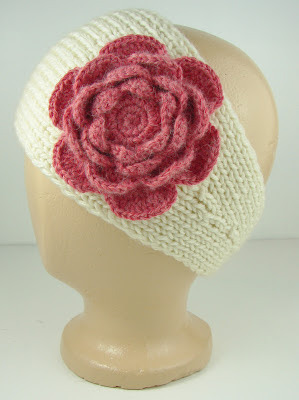 For the teacher I work with, I made this ear warmer with a crocheted flower. I still can't believe that Christmas has come and gone! Now time to knit some items to restock my etsy shop and start working on things for spring. My how time flies! Hi love all of your ideas. 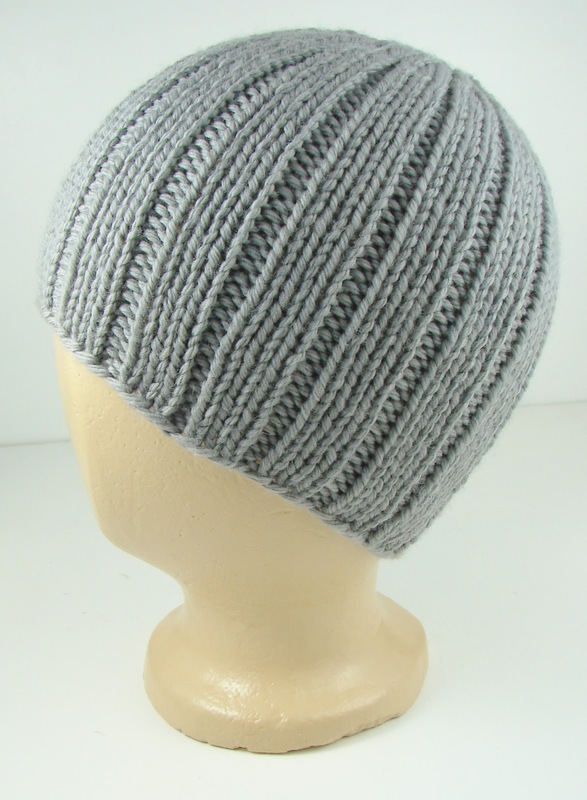 I have been looking for a pattern for the simple rib knit mens hat. I cant seem to get the decreasing to look right. Do you have a pattern for this?? Thanks so much! Unfortunately, I don't currently have a finished pattern for the hat. 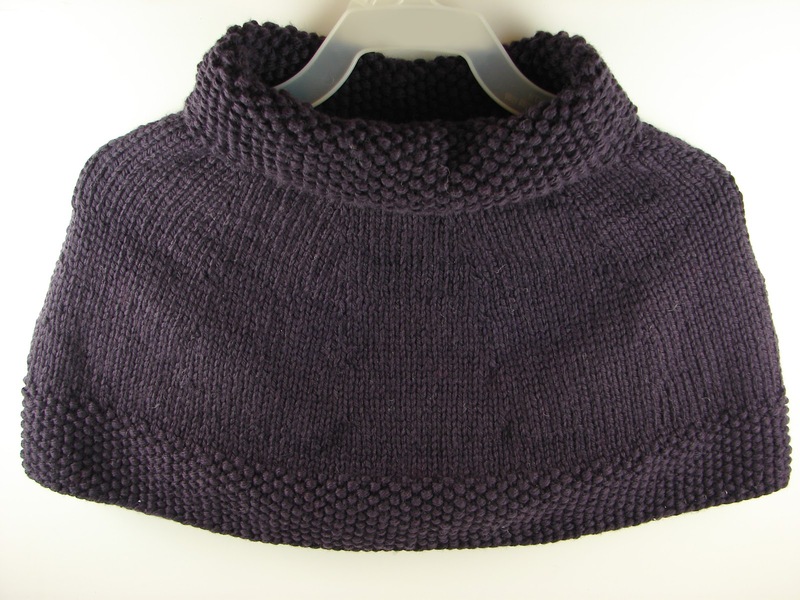 It is possible that in a few months I could write out the pattern and make it available, but I've got a few time sensitive projects I'm working on right now. So it wouldn't be right away, sorry! Do you happen to have a pattern for the little ladybug finger puppet you made? I've been looking everywhere for one! Sorry, I don't have a pattern for the finger puppets. I was making it up as I went along and I didn't write it down. 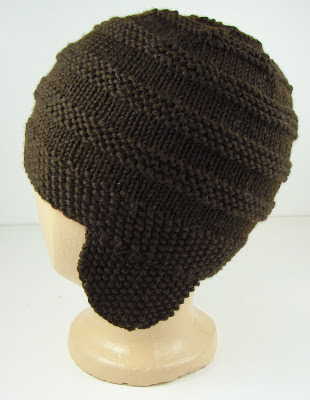 I think it is mostly single crochet stitches. For the ladybug I worked in red making a tube, then switched to black and worked for a little bit longer, decreased and then sewed the top shut. The spots were embroidered on and the antennae are chains. Hope that helps!